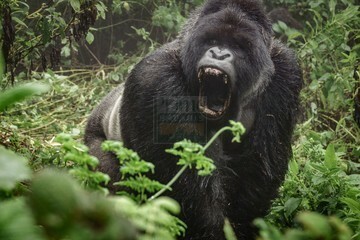 Gorilla Safari Rwanda, Gorilla Trekking Rwanda, Gorilla Tours Rwanda. Enjoy a Gorilla trekking safari in Rwanda out of our range of Rwanda Gorilla safaris. We offer customized affordable Gorilla safaris in Rwanda for your preference. Choose from a your wildlife safari in Rwanda from our wide range of wildlife Safaris in Rwanda to Akagera National Park, Chimp treks Nyungwe Forest National Park, Gorilla trekking in Volcanoes National Park Rwanda. The Short Safaris are designed to favor the time constrained travelers and present a perfect ground for mini-break holidays and excursions. The short safaris are also less costly making it affordable to the travelers with limited income. The Short Safaris range from Day excursions to 2 days, 3 days, 4 days and 5 Days. The range of short safaris in Uganda and Rwanda are presented by Prime Safaris and Tours Ltd for your choice. The Short Safaris are designed to favor the time constrained travelers and present a perfect ground for mini-break holidays and excursions. The short safaris are also less costly making it affordable to the travelers with limited income. 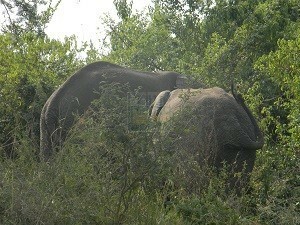 The Short Safaris range from Day excursions to 2 days, 3 days, 4 days and 5 Days. The range of short safaris in Uganda and Rwanda are presented by Prime Safaris and Tours Ltd for your choice. The long gorilla safaris in Rwanda are designed to last a couple of days and are designed to enable Rwanda gorilla safari undertakers have an extended encounter with gorillas along with other Rwanda safari attractions like wild game, primates, culture and scenery. 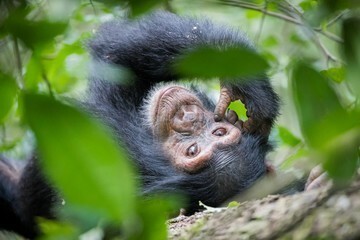 The Long gorilla safaris in Rwanda can stretch up to 12 Days. The long safaris are designed to suit the interests of travelers with enough time at their disposal and resources. The long safari in Rwanda takes you to southern heritage sites of Butare, south western tracts of Nyungwe, western recreational destinations of Lake Kivu, north western gorilla destinations of Volcanoes and eastern wild game destination of Akagera. The 9 Days Rwanda Primate Tour & Wildlife Safari in Rwanda is one of the long Rwanda safari packages that allows you to explore the range of primates including the Mountain gorillas, the Common Chimpanzees, the Black and White Colobus Monkeys and the golden monkeys. Volcanoes National Park is also known in French as Parc National des Volcanoes is positioned in north western Rwanda bordering Uganda’s Mgahinga National Park and Congo’s Virunga National Park.